Changing your logo often will diminish any recognizability you have in the public. This is easily one of the biggest branding mistakes a business can make. A slight refresh or modernization of an existing logo is fine, but updating it too frequently can be detrimental to a business of any size. Simplicity is key. Your logo design should be legible and easy to interpret. While it does need to be unique, making crazy styling or font choices aren’t recommended. It’s important the public can recognize your logo with even the slightest glance. Even though we agree simplicity is key, being generic isn’t good either. A perfect example is the Apple logo. Using a regular apple shape would have been too bland, which is when the idea for having a missing bite was born. It added uniqueness to a once basic image and helped create one of the most recognized logos in the world. You must find a way to perfectly balance simplicity and intricacy. Before you begin designing, you should know everything about your target audience. All styling should ultimately reflect your audience and what they like to see in a brand. A logo is an identifier consumers look at before they walk through your doors. Think about toy stores. Their logos usually feature more whimsical designs to appeal to children and solidify their presence in their industry. Asking for help isn’t a bad thing. You need to make sure your logo appeals to your target audience, so why not ask for their opinion? Whether you’re just starting out or going through a brand refresh, seeking the opinions of your audience and other industry professionals is smart. Present them with options and have them choose their favorite. It’s an easy way to know if you’ve got it right the first time. Clever use of color can help you stand out from the crowd. Certain color tones are proven to exude different feelings and emotions on people. Have you ever wondered why so many logos use the color blue? It’s because blue emits a sense of calmness, likely due to its relativity with the sky and the sea. What colors you use and the way you implement them are additional ways to appeal to your audience. 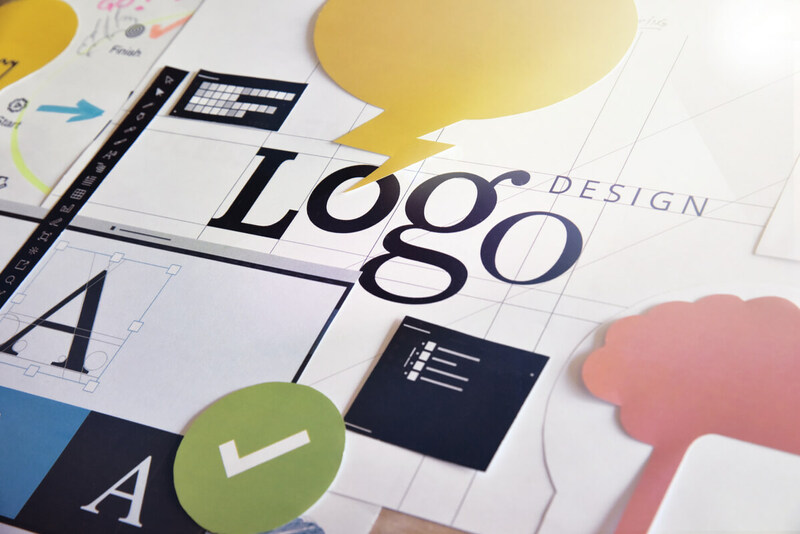 Your logo should be the brand’s most recognizable part, so design it with longevity in mind. Never use overly trendy design or images that won’t age well. The last thing you want is to be forced to redesign your entire logo just because you made a bad choice. Think to yourself, is this something I’d want representing me in 50 years? If the answer is no, go back to the drawing board and create a design that (with slight refreshes) can carry your brand forever. A logo deserves careful planning and execution. It can help your brand grow rapidly or equally assist in its failure; your path is up to you. We believe seeking the help of professionals who have experience designing successful logos is important, which is what pushed us to compile this list. Don’t worry, designing a perfect logo can be easier than you think. If you still need guidance, look below to see some of the logos we’ve created in the past.